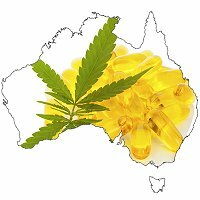 A pair of Australian health professionals have identified what they believe to be some remaining missing links in Australia’s approach to medicinal cannabis. When Australian Federal Government Minister For Health Sussan Ley announced uniform guidelines would be put in place across the country relating to the cultivation, manufacturer and distribution of medical cannabis products, she referred to the legislation as being the “missing piece” for a sustainable legal supply of safe medicinal cannabis products. However, Jennifer Martin (University of Newcastle and Hunter New England Local Health District) and Yvonne Bonomo ( St Vincent’s Health, Melbourne) have provided a bit of a reality check, stating there are important missing links yet to be addressed. “Several changes to medicines and poisons legislation, as well as significant scientific, pharmaceutical, pharmacological and clinical input are required,” state the pair in a peer-reviewed paper published in The Medical Journal of Australia. 1. Data required on indications, efficacy, safety and dose range of cannabinoids. 2. Confirmation that drug constituents are consistent and of high, reproducible quality. 3. Confirmation of drug stability in different storage conditions. 4. Concerns specific to prescribing. These issues and associated challenges are described in more detail here; along with strategies for and progress being made in addressing them. The pair believe that Australia should take heed of the lessons provided history, such as those learned from the use and abuse of other medications such oxycodone, benzodiazepines and antipsychotic medications. “We can learn from these problems, as long as pressure from the community for access to cannabis is managed,” they state. While some may argue drawing any sort parallel between medicinal marijuana and drugs such as oxycodone is unfair; the precautionary principle in essence is a good one – assuming precaution doesn’t turn to paranoia and deprives patients of much-needed relief from symptoms for even a day longer than is absolutely necessary. Jennifer Martin is associated with NSW Health-funded medicinal cannabis trials and Yvonne Bonomo is leading cannabis research and education programs in Victoria. Victoria was the first Australian state to legalise medicinal cannabis. Previous articleCannavaping Medicinal Marijuana With Ecigarettes “Safe”?